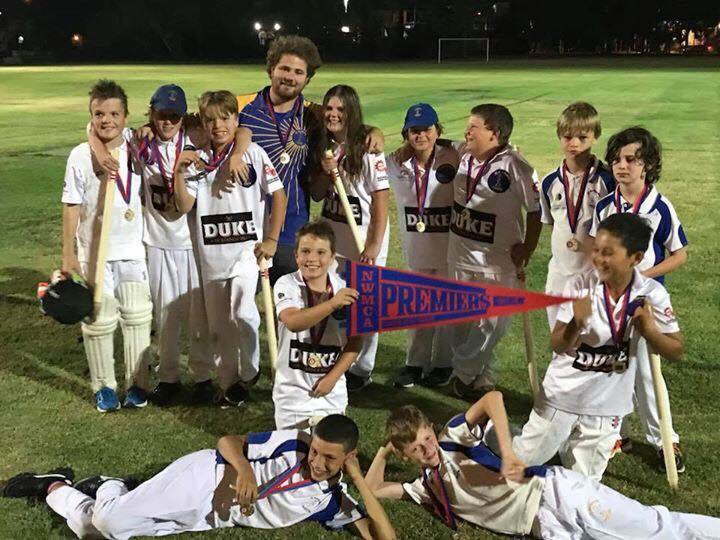 Girls & Boys – Junior Blasters, Under 10s, 12s, 14s and girls Under 13s and 15s are fun ways to learn how to play cricket, make friends and keep active. The programs are designed to give boys and girls a chance to take part in a variety of activities to develop their cricket skills, physical fitness, social skills, sportsmanship and an understanding of the game. Junior Blasters is held Wednesday afternoons 4:30-5:30pm starting on the 10 October and ending on 12 December. For more information, feel free to contact our Blasters Coordinator Jon King on 0407 810 859 or email info@standrewscc.com.au. Under 10s, 12s and 14s training will be held every Thursday between 4:30-5:30pm with the first session to be on Thursday 4 October 2018. The first games start from 12 October. For more information, email us at info@standrewscc.com.au. The first games start from 15 October. For more information, contact Females Coordinator Terriann Seath on 0438 060 899 or email standrewsfemalecricket@outlook.com. How old must your child be to participate? For Junior Blasters the youngest age that we would recommend a child be able to participate would be 6 years of age. The oldest we would recommend would be 10 years old. For Unders 10s the youngest age that we would recommend a child be able to play would be 7 years of age. The oldest your child can be is 10 years old. They must be turning 10 after the 1 September 2016 to be eligible. For Under 12s and 14s the oldest your child can be is 12 or 14 years old. They must be turning 12 or 14 after the 1 September 2016 to be eligible. How much is registration? What is included in the fees? For Junior Blasters the registration fees are $75, which covers the cricket kit, including a bat and/or stumps, ball, t-shirt, cap and water bottle, all inside a convenient backpack. For Under 10s, 12s, 14s and Girls Under 13s and 15s the registration fees will be set at $120 (or $150 for a family). This will include a playing shirt and a cap (if the child requires another). What sort of equipment is required for my child to play? Uniform? For Junior Blasters participants the shirt and cap, a pair of suitable shorts/pants and footwear. For Under 10s, 12s and 14s players the uniform required to play cricket is a pair of white cricket pants, the club playing shirt and cap, and suitable footwear. The club has a club kit, which includes all equipment. You are more than welcome to bring your child’s own kit, but please make sure it is clearly marked with their name. For Girls Under 13s and 15s players the uniform required to play cricket is a pair of blue shorts or white cricket pants, the club playing shirt and cap, and suitable footwear. The club has a club kit, which includes all equipment. You are more than welcome to bring your child’s own kit, but please make sure it is clearly marked with their name. The club will provide suitable coaches who will coach your children, but you are more than welcome, and even encouraged to help, whether that be as a coach, helping with the training drills, scoring, umpiring, getting the kids ready for batting, cooking a barbeque or helping in the canteen. ← GIRLS Come and Try Day!